The Regional Security System (RSS) is a key entity within the Caribbean region. 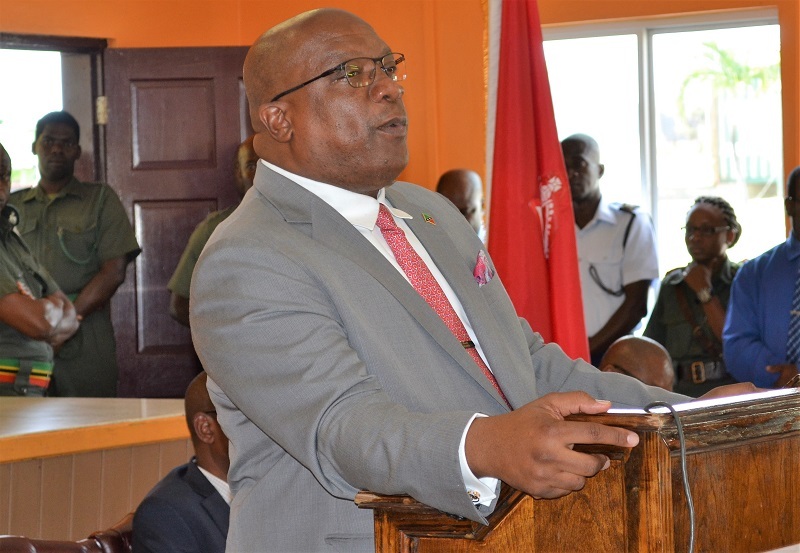 This was underscored by Prime Minister of St. Kitts and Nevis, Timothy Harris, who praised the work of the RSS during a short ceremony at the St. Kitts and Nevis Defence Force headquarters. The event was held to officially thank, and offer some holiday cheer, to officers who would be away from their families during the Christmas season. 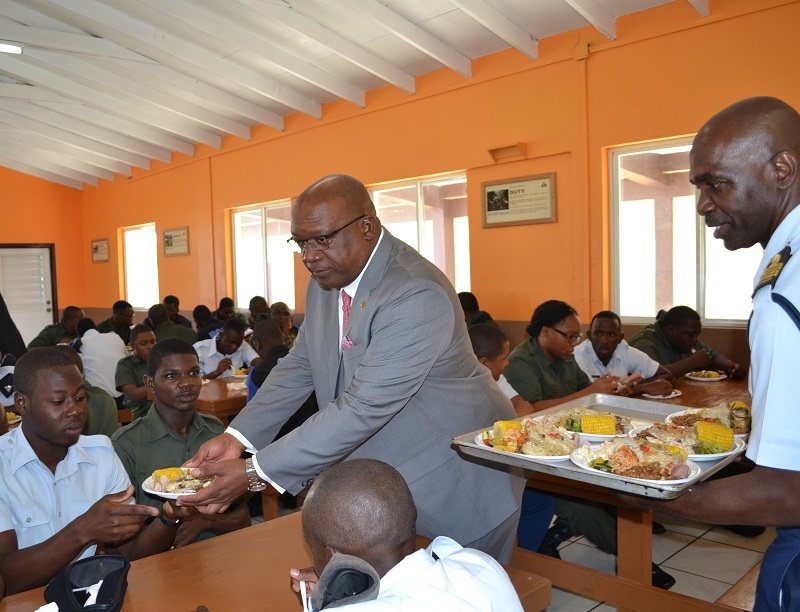 Prime Minister Harris pointed out that his island recently had to rely on the regional organization to assist security personnel on their mission to maintain peace in St. Kitts and Nevis, and lauded the efforts of the officers who were deployed from Barbados, St. Vincent and the Grenadines, Antigua and Barbuda and Grenada. “From all accounts those who are visiting have joined forces, enhanced our capacity and capabilities to respond to what was a rising trend of criminal activity, and now we are on a path of reduction. This has been a team effort of regional and local support. “There has been a renewed sense of calm and security in our country; that is very palpable at this time. This peace, we hope, will endure every day going forward in St. Kitts and Nevis and the rest of the region… We appreciate that without peace there can be no prosperity, we need peace in which our people can go about doing their normal activities and we need peace to encourage the investors to be a part of a growing and successful St. Kitts and Nevis,” the Prime Minister opined. Mr. Harris further noted that the RSS was not only reliable during matters of crime and violence, but highlighted the crucial role it plays in times of natural disaster. He alluded to the devastation in Dominica following the passage of Hurricane Maria in 2017, and stated that the organization’s “expertise and experience” made it possible to execute such a coordinated response on such occasions. “I believe that what has happened in recent [times] has provided persuasive evidence that the region needs a RSS system and indeed we should look beyond the sub-region and Barbados, in my view, to have a CARICOM regional response system,” the Prime Minister asserted.